Sneak Peek: our charcoal gallery for our current exhibition seven sisters. View all new artworks here. Scroll down for holiday trading hours. 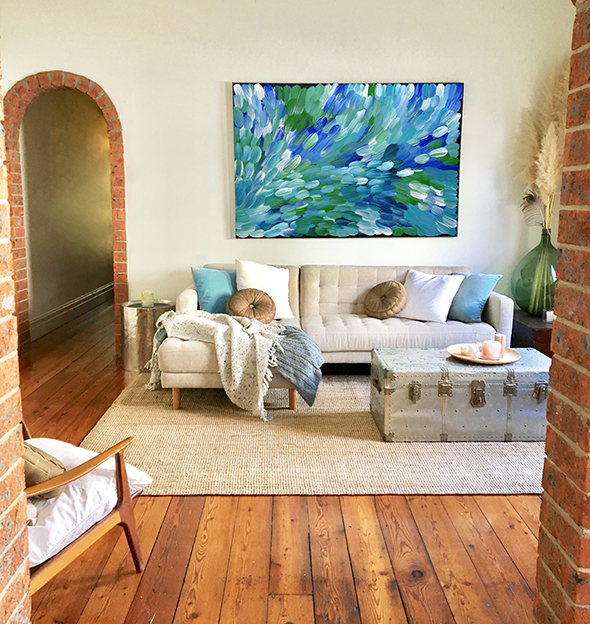 We are a multiple award winning gallery in Sydney’s Inner West that specialises in contemporary Indigenous art for modern interiors. With artworks ranging from small affordable works to large investment pieces, our three light-filled floors showcase major exhibitions of indigenous masters, established artists and exciting new talent. KOG every day SALE! 20%-80% off 200+ Artworks! Now everyone can afford a beautiful piece of beautiful Aboriginal art! Many are works by well-known and collectible Indigenous artists – others are simply great artworks at a great price. It has never been so easy: If you don't know much about Aboriginal art but you want to look at styles and the range available, use our Find Aboriginal Artworks tool where you can select price, colours, sizes, shapes, styles, regions and a whole lot of other criteria to find an artwork that's exactly right for you. While you're scrolling through, you can save your favourite pieces as a 'wish list' to return to later, email to a friend, or send through to the gallery and one of our friendly art consultants can happily assist you. You can also search for highly collectable works, check out your favourite artists, scroll through our current online exhibitions, see our newest artworks or for the thrifty, you can find a bargain on our sale page. A Big CONGRATULATIONS to Helen McCarthy Tyalmuty - selected as a finalist in the 2019 Calleen Art Award! The acquisitive painting prize is held at the Cowra Regional Art Gallery each year. The winner is announced on Saturday 4 May. 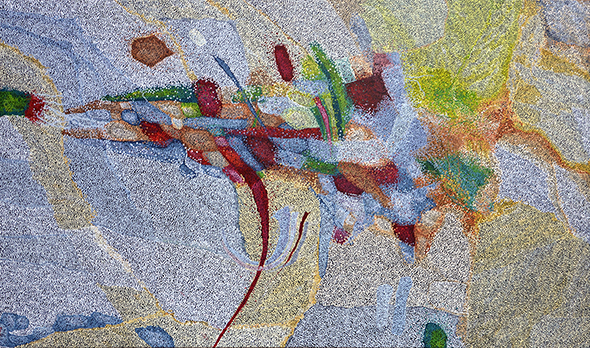 Already winner of the Peoples Choice Award at the 2007 Telstra National Aboriginal & Torres Strait Islander Art Award, in 2017 Helen appeared as a finalist in prestigious art prizes such as the Paddington Art Prize, the Georges River Art Prize, and was awarded the Inaugural Margaret Olley Art Award at the Mosman Art Prize. Over the last eighteen months Helen has spent time in Alice Springs, Darwin, Daly River and Sydney, with 2019 promising to be another exciting year of creative output. Click here to view our extraordinary collection of works from Helen McCarthy Tyalmuty including brand new artworks. Join us on our Kate Owen Gallery Facebook, Instagram or Pinterest Page or tune in to our Members' Mail for news, invitations and Member offers. Sign me up! 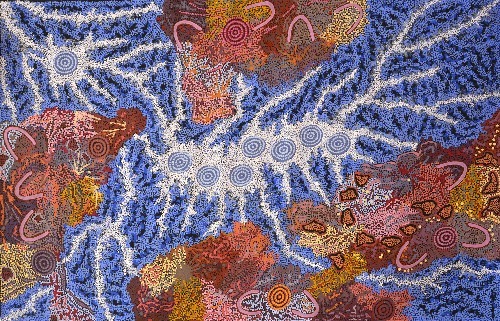 Kate Owen Gallery acknowledges the Traditional Custodians of the land on which we work and live, and recognise their continuing connection to land, water and community. We pay respect to Elders past, present and emerging.